Choice of 3 different drill instructors (Via In-App Purchase) from England, Wales and the USA. There is visual representation of which quadrants to brush displayed on the screen, but this is primarily for small children, and those of simple mind. Tooth Camp is intended to be an aural experience - if you're looking at the screen, then you're not giving your teeth the complete attention that they deserve. You'll have a much better experience if you use headphones. 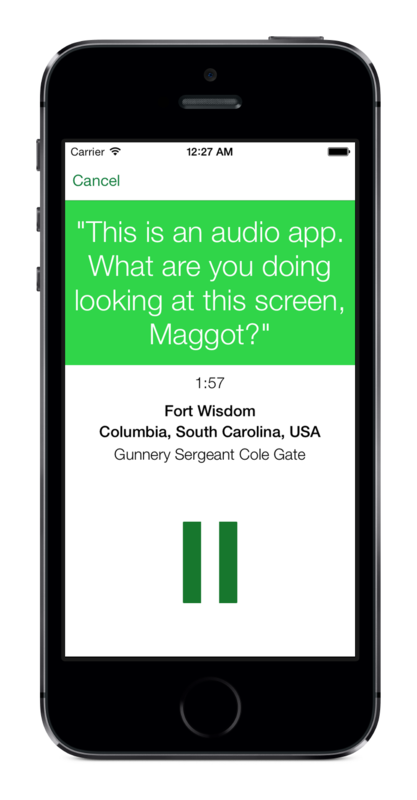 Tooth Camp supports the use of a headphone remote to play, pause and rewind the selected drill instructor.